SAN JOSE, Calif. — April 23, 2012 — Adobe Systems Incorporated (Nasdaq:ADBE) today announced the ultimate toolkit for design, Web and video professionals with the unveiling of the Adobe® Creative Suite® 6 product line and Adobe Creative Cloud™ (see separate release). Powerful new releases of 14 CS6 applications and four Creative Suites – Adobe Creative Suite 6 Design & Web Premium, Adobe Creative Suite 6 Design Standard, Adobe Creative Suite 6 Production Premium, and Adobe Creative Suite 6 Master Collection – drive home Adobe’s continued innovation across creative markets. A new subscription-based offering, Adobe Creative Cloud, will provide users with the ability to download and install every Adobe CS6 application* announced today. Creative Cloud also integrates Adobe Touch Apps† into everyday work, introduces cloud-based sync and store capabilities, and powers the publishing of apps and high-impact Web experiences. • Adobe has built on Photoshop’s breakthrough Content-Aware capabilities with advanced new Content-Aware Patch and Content-Aware Move features. • Illustrator CS6 debuts a revamped modern interface, and features include a new image tracing engine, easy pattern creation and ability to apply gradients to strokes. The Mercury Performance System delivers speed and stability, including 64-bit support for Mac OS and Windows. • InDesign CS6 continues to blaze a trail in publishing, streamlining the creation of multiple layouts from a single set of content with new Adaptive Design Tools – Alternate Layout, Liquid Layout, Content Collector Tools and Linked Content. • A brand new application, Adobe Muse™, a radical tool that enables designers to create and publish HTML5 web sites without writing code, was also announced today. • Web pros can conveniently integrate HTML5 animations, created with Adobe Edge preview, into their Dreamweaver projects, driving home Adobe’s leadership in tooling for the HTML5 Web standard. • Adobe Dreamweaver® CS6 addresses the challenge of responsive Web designs with the ability to build fluid grid layouts replacing the tedious manual process of creating and configuring separate CSS-based interfaces for phone, tablet and desktop. • Through direct integration with Adobe’s recently announced PhoneGap Build service, Dreamweaver CS6 helps round out Web professionals’ skillsets and enables them to produce native mobile applications for multiple platforms. • Adobe Flash® Professional CS6 users can easily translate and transition their skills to HTML5 using the Flash Professional Toolkit for CreateJS. Flash Professional CS6 also helps designers create exciting and impactful gaming experiences and advancements include the ability to generate sprite sheets that improve workflows and performance. • Pre-built native extensions and new packaging options, leveraging the latest Adobe Flash Player and AIR runtimes, help expand and ease app delivery to Android and iOS devices. 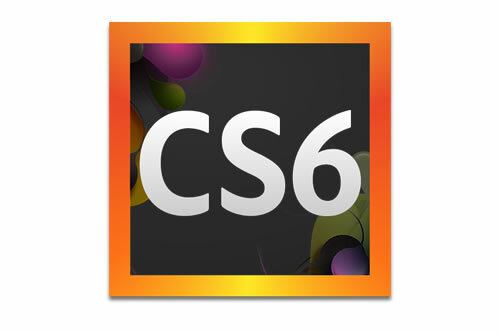 Production Premium CS6 Pushes Boundaries of Video Creativity Redesigned by and for video editors, with major performance enhancements, the tools included in Adobe Creative Suite 6 Production Premium set a new standard in professional video. • With dozens of new features, Adobe Premiere® Pro CS6 is the hub of any professional video workflow, featuring a sleek new editing environment. The powerful Adobe Mercury Playback Engine now supports OpenCL on MacBook Pros. • The most significant After Effects release in a decade, Adobe After Effects® CS6 is faster and more responsive than ever. With Global Performance Cache, previews are saved and ready to go – cutting the time spent bouncing between projects. • New to Production Premium are Adobe Prelude™ CS6, which streamlines logging and ingest workflows in post-production, and Adobe SpeedGrade, which contains powerful finishing tools for film finishing and color grading. • Adobe Audition® CS6 accelerates audio post-production: real-time clip stretching makes it simple to stretch clips to fit an edit; and Automatic Speech Alignment introduces a powerful new engine for automated dialogue analysis. • A new third party API for hardware integration – Adobe Mercury Transmit – allows broadcast video monitoring to connect directly into the Mercury Playback Engine via third-party cards from AJA, Blackmagic Design and Matrox.